Pay with Citibank and Get flat 25% (on base price) instant discount on international Hotel booking. Visit the MakeMyTrip website by Clicking here. Undoubtedly, MakeMyTrip is the leading platform in India, especially for flight bookings. It offers great discounts with a seamless experience of booking. Not only flights, but you can also book hotels, holidays thought MMT website or mobile site or app. Since 2000, they are providing lowest fare flights. Now, you can find a hotel that suits your need. They have a sufficient range of hotels & flights to choose. Pick your type, location, price range, and flight. Then, book it. Complete your trip with cheapest flight + hotel. The Yatra flight coupons also can help you get a cheap flight in your budget. For making it more affordable, we have brought the MakeMyTrip coupons & deals for you. Browse through a wide range of holiday packages. MMT offers the facility of holidays not only in India but also across the world. Their custom tour packages give the user the facility to create & design his/her holiday. They have some holiday needs in store for everyone who loves traveling. You can choose from honeymoon packages, solo package, exclusive tour package for women and more. Homestay is the latest trend to stay while traveling. MMT provides luxurious private villas, cozy cottages, dreamy tree houses and much more. Now, you will not get bored with hotel rooms. Choose MakeMyTrip and get complete freedom of homestays with flexible check-in and check-out. Bus booking online is now cheaper with new MakeMyTrip coupons. Get lowest fares and best discounts on your bus tickets. It is easy for you to choose from the big range of buses like Volvo, Volvo AC, Sleeper, Deluxe and more. They are also now having the train ticket booking facility. With the seamless experience, online cab booking is one of the latest addition to MMT portal. So, you can book a cab at an affordable pricing. The Ola cab coupons are of great use to save money on cab booking. 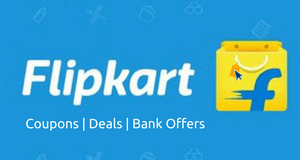 They have joined hands with multiple banks to provide additonal cashback and discounts. They are offering new bank offers to give more savings to their users regularly. Now get exclusive deals with a card from banks like SBI, ICICI, IndusInd, Kotak, HDFC and more. Using a debit card/credit card is also the fastest way to make payment. So, why not opt for this and get additional benefits? Expect the discounts with bank cards; there is wallet offers too. You can book with your Paytm wallet to for extra wallet cashback. If you have got some friends who are the traveler, then here is good news. The new MakeMyTrip refer and earn offer is LIVE. Now you can invite your friend to MMT and earn up to Rs 1800. So, you have to invite your friend. Then, your friend needs to register on the app. After that, you will get Rs 1000. When you friend books anything on MMT, then you will get additional upto Rs 800 in the wallet. Save the maximum on each of your bookings. 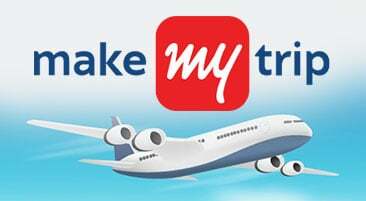 MakeMyTrip offers the latest coupons and cashback offers. 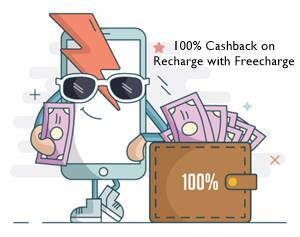 So, you will get assured cashback or discount on all your orders. Book your flight, hotel, bus, train, cab and more at the lowest prices. Special promo codes on international and domestic flight booking are available. 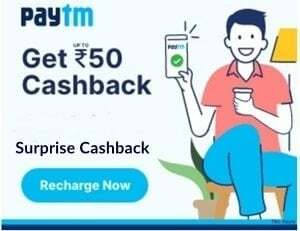 Paytm wallet 40% cashback offer is also there. So, you can pay with your Paytm wallet to receive additional cashback. You can also book with the new Paytm Flights Offer for the maximum cashback. With this way, you can avail those to save maximum on travel and stay. Stay tuned for updated MakeMyTrip promo codes and offers. I’m trying to book a flight from Delhi to Hyderabad . Can you please help me with any available offers/coupons to receive a direct cash back or discount as I don’t travel frequently I don’t want the cash back amount into my MMT account. where is rail ticket codes? Mention the error, please. Checked working fine. Sir can’t use the coupon MMTAGAIN. it says e-coupon can’t be used now.